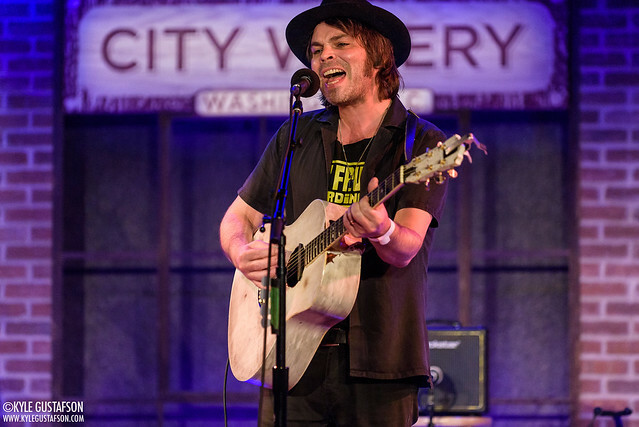 Posted on 10/09/2018 by Kyle Gustafson	in Live Review and tagged Britpop, City Winery, England, Gaz Coombes, Supergrass. It’s easy to look at the numbers and surmise that Supergrass peaked with their debut album, I Should Coco, in 1995 — and afterward began a slow but steady slide down the charts, but that wouldn’t do justice to the band’s subsequent albums, all excellent in their on way. Their sophomore album, In It for the Money, is probably my favorite, but it’s 2005’s more diverse Road to Rouen that I listen to most frequently. The more mature, acoustic-leaning songwriting eventually paved the way for lead singer’s Gaz Coombes three solo albums. The latest, World’s Strongest Man, brought him to DC’s City Winery last Thursday. 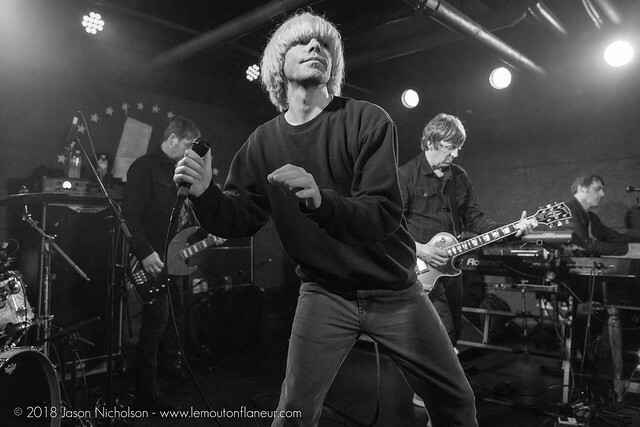 Posted on 10/05/2018 by Jason Nicholson "Le Mouton Flâneur"	in Live Review and tagged Britpop, England, The Charlatans, The Charlatans UK, Tim Burgess, U Street Music Hall. There is nothing quite like seeing the eternally youthful Tim Burgess, frontman of The Charlatans UK, bound about a stage, which he did with exuberance in performance with his band at U Street Music Hall on Oct. 2. Jason Nicholson was there to capture the action! Posted on 09/25/2018 by Mickey McCarter	in Live Review and tagged Britpop, England, Madchester, The Charlatans, The Charlatans UK, U Street Music Hall. 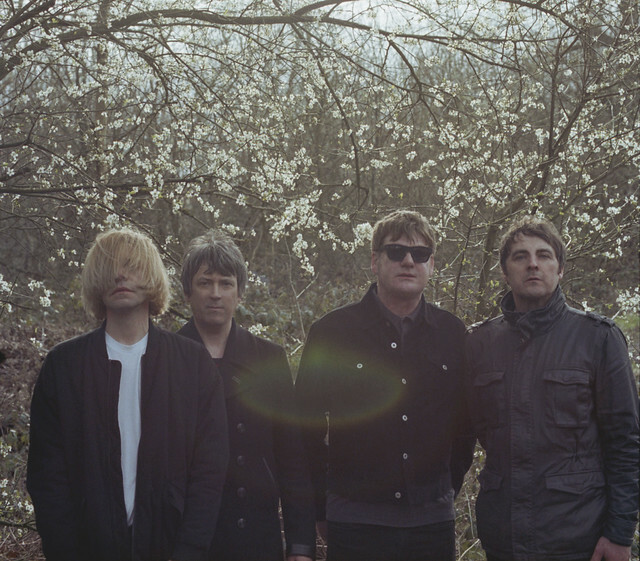 The Charlatans UK released Totally Eclipsing, a new EP, on June 8! 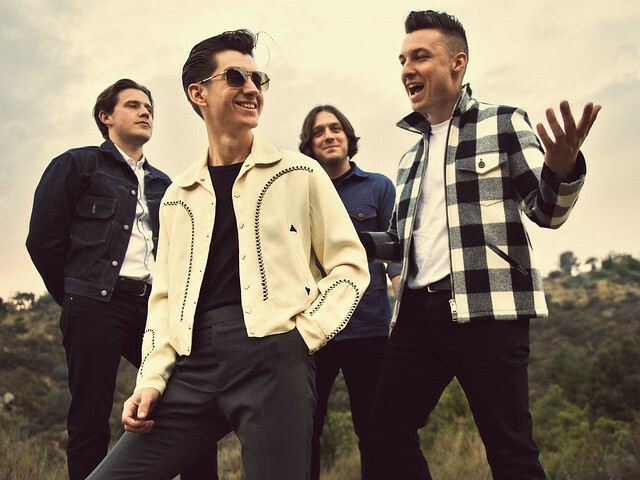 The four-track album followed their latest full-length, 2017’s Different Days. Vocalist Tim Burgess and company are currently on a North American tour, and they visit U Street Music Hall on Tuesday, Oct. 2. 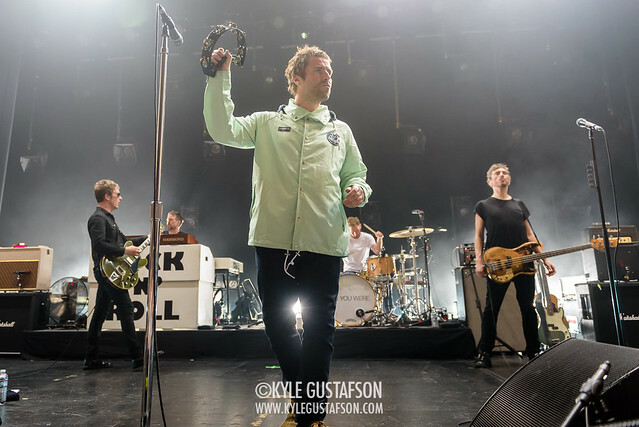 Posted on 05/22/2018 by Kyle Gustafson	in Live Review and tagged Britpop, England, Liam Gallagher, Lincoln Theatre, Manchester, Oasis. Timing is everything in rock ‘n’ roll, and I imagine it’s a lesson to which Liam Gallagher can attest. And Liam delivered his testimony in a sold-out show at the Lincoln Theatre on Saturday. 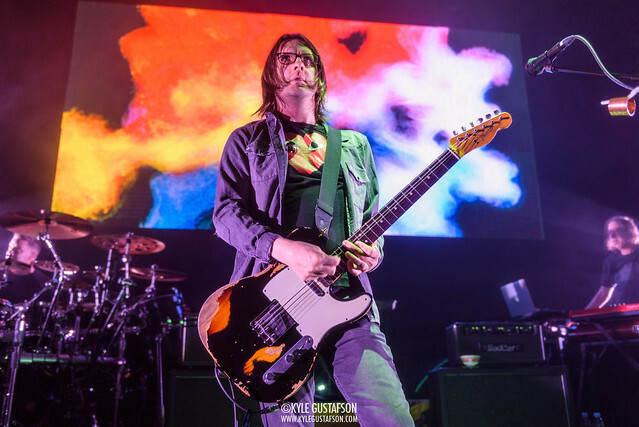 Posted on 04/26/2018 by Kyle Gustafson	in Live Review and tagged 9:30 Club, Britpop, England, London, Mansun, Paul Draper, progressive rock, psychedelic, Steven Wilson. Englishman Steven Wilson rocked 9:30 Club on Tuesday, playing songs from his new solo album, To the Bone, released last year via Caroline International, as well as songs from his progressive rock band, Porcupine Tree. Posted on 04/17/2018 by Mickey McCarter	in Live Review and tagged Alt-J, Arctic Monkeys, Britpop, Delaware, Eminem, Firefly 2018, Firefly Music Festival, Foster the People, hip hop, indie rock, Kendrick Lamar, Lil Wayne, Logic, Martin Garrix, MGMT, music festival, Odesza, Portugal. The Man, SZA, The Killers, The Woodlands of Dover International Speedway. Eminem, Kendrick Lamar, Arctic Monkeys, and The Killers will headline the 2018 edition of the Firefly Music Festival, set in The Woodlands in Dover, Delaware, on June 14-17. This ever-expanding music festival makes for an easy weekend trip from DC while offering access to an all-star lineup of musical talent that also includes Odesza, Lil Wayne, Logic, Martin Garrix, SZA, Alt-J, Portugal. The Man, Foster the People, MGMT, Mike D (DJ set), and more. General admission and VIP tickets are now onsale for the entire weekend, and daily passes recently became available as well. 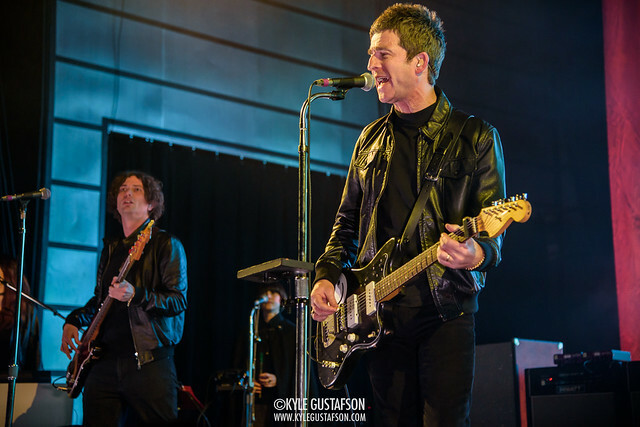 Posted on 02/13/2018 by Kyle Gustafson	in Live Review and tagged Britpop, Noel Gallagher, Noel Gallagher's High Flying Birds, Oasis, psychedelic, The Anthem. In case you were wondering how Noel Gallagher is feeling about his solo career in relation to that of his former band Oasis, a quick glance at his current tour’s setlist should set you straight. At The Anthem on Monday, The Chief opened with nine, count ’em, nine songs from his post-Oasis solo career, including the first four songs in order from his latest solo effort, Who Built the Moon?